First National Bank has finally confirmed what SA Internet users have long suspected. The banking group is partnering with online payments specialist PayPal, a subsidiary of online auctions giant eBay, to allow South Africans to use the US company’s full suite of products for the first time. FNB on Wednesday invited journalists to a press briefing on 25 March, to be addressed by bank CEO Michael Jordaan and senior executives from PayPal. They plan to discuss how they’ll work together to “make global e-commerce faster and easier for the SA market”, according to the invitation. News of the bank’s discussions were first leaked on group messaging service Twitter, apparently by one of FNB’s suppliers. Though South Africans have been able to apply for PayPal accounts, they have not been able to receive money from people internationally using the service because of SA Reserve Bank regulations. 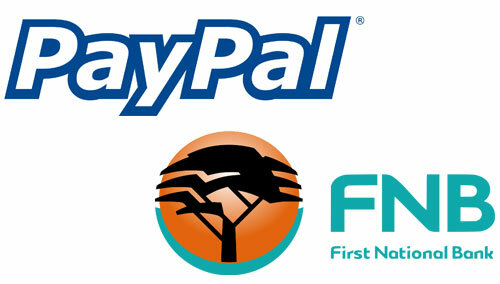 It’s understood that FNB has held discussions with the Reserve Bank about launching PayPal’s full suite of services in SA. This is without a doubt one of the most important catalysts for e-commerce and the sale of digital goods and services in SA. I am so excited about this that I almost fell of my chair when the news started circulating on Twitter. Kudos to FNB, they are definitely leading innovation in local market – its one thing to have a social media presence and its another to make an intervention of this scale on an entire market. Wonderful news! it has hampered many of things we’ve wanted to make easy for our users. Now thanks to FNB we can actually do it! Wonder how long we’ll have to wait? Fantastic news indeed. It is just such a pity that finally somebody with balls and will like FNB decided to only tackle this now instead of many years ago. I don’t think we’ll ever understand why now instead of earlier, but at least it is happening and I think we can finally be greatful for it. Can you imagine what the online ecommerce landscape would of looked like now if the receipt of international payments were made possible, say 5 years ago? I really hope that the impact PayPal in SA will help in increasing the online economy as we all hope it should. Well Glen, it is all about Exchange Controls, that is why this was never an opportunity earlier, but since the SA Reserve Bank are showing signs of a more relaxed view on this, it has now become possible. Don’t be too quick to celebrate though, as the press conference is still 2 weeks away. The Reserve Bank is known to be unpredictable most of the time. Well done to FNB though for spotting the opportunity before any of the other big 4…. This development is very interesting news, but this claims in this article are unfounded and rather sensational. Nowhere has it been mentioned that PayPal will be offering a “full suite of products” to South Africans and the that they have “received Reserve Bank approval” is pure supposition. A partnership between FNB and PayPal could take many, many forms and the press conference on 25th is where they are going to tell everyone (hopefully) what form this will take and let everyone stop guessing. Don’t assume that it’s going to a “full suite of products” as there is a good chance it won’t be. There are very significant stumbling blocks to a full range of services being offered, including: The Banks Act, 1990 (Act No. 94 of 1990), National Payment System Act (No. 78 of 1998) and the directives of the SA Reserve Bank. There are other concerns too in terms of tax (SARS) and exchange control. Notwithstanding the law, there are other points worth mentioning too: PayPal doesn’t trade in Rands. What affect will that have? I doubt FNB is doing this out of the goodness of their hearts, so what will they charge to render whatever service they offer? What does a partnership with PayPal mean for their own products (FNB Cell PayPoint, FNB Send Money & FNB Pay Wallet) which they have spent millions on developing and marketing? I, like most people, am very interested to learn what form this partnership will take, but will wait for concrete information from FNB & PayPal in this regard. @Jonathan While your pessimism is understandable, there is another operator that has allowed local withdrawals from an international wallet for years – Moneybookers.com. I’ve used them to receive international EUR payments in local ZAR before, with no problems. So fact is, it can and has been done, and FNB is finally bringing the motherbrand on board. Cheer up. It became time. The question is how much FNB is going to charge their PayPal customers for every transaction etc. Another thing is that at the moment (own experience) it can take 2 weeks before money transferred from Europe arrives on your account; i.e. Forex-department of FNB takes the interest and charge customer for transfer expenses …. Etc. etc. SAY Thanks, but no thanks! Paypal is one of the worst companies one could choose to deal with, charge backs and hold backs, endless nightmares in trying to sort it our while you are out of pocket and the buyer shows you the finger while laughing… no thanks, Won’t touch them with a barge pole, learnt that lesson back in 2000 already! There are far superior solutions that work for us.